‘Tis the season to enjoy holiday eating. Platters of rich foods passed at parties and family dinners often tempt guests to over eat when faced with a spread of high-calorie and high-fat foods. So how can you indulge in your favorite dishes while keeping a healthy and balanced diet? He assures that all the good, familiar flavors will remain, and that the only thing missing will be the calories, cholesterol and fat! Follow Ayoub’s expert tips for preparing healthier, tasty versions of some popular holiday cuisine. Green Beans Casserole – swap frozen or canned veggies with fresh green beans! 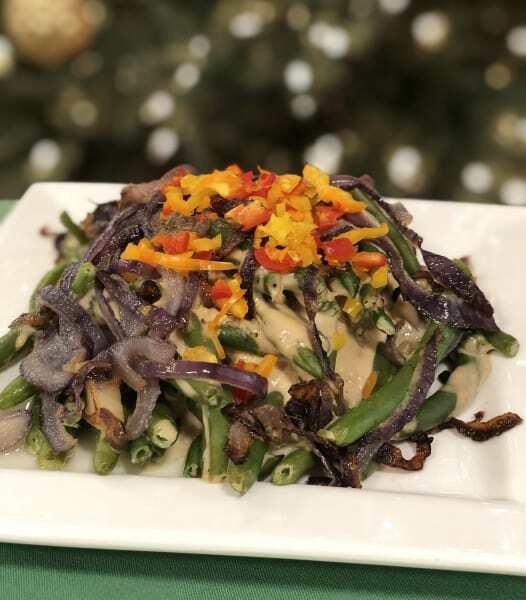 Steamed fresh, snipped green beans tossed with low sodium mushroom and cream sauce and topped with caramelized onions instead of crispy canned onions. Arugula Harvest Salad – swap creamy, mayo-based dressing for lighter vinaigrette! 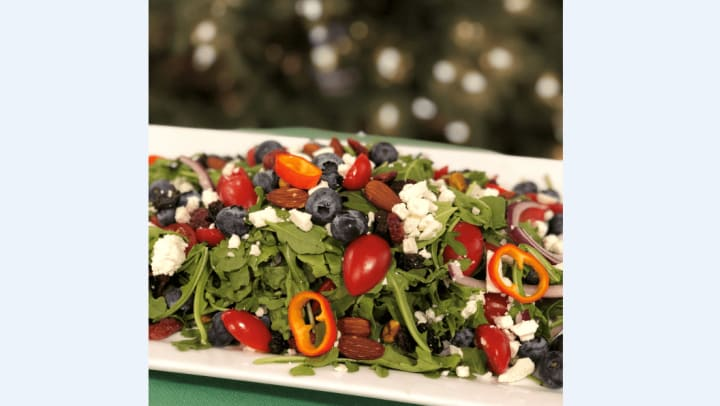 Baby arugula with toasted pecans, craisins, fresh blueberries, fresh raspberries, grape tomatoes, feta cheese and caramelized onions. 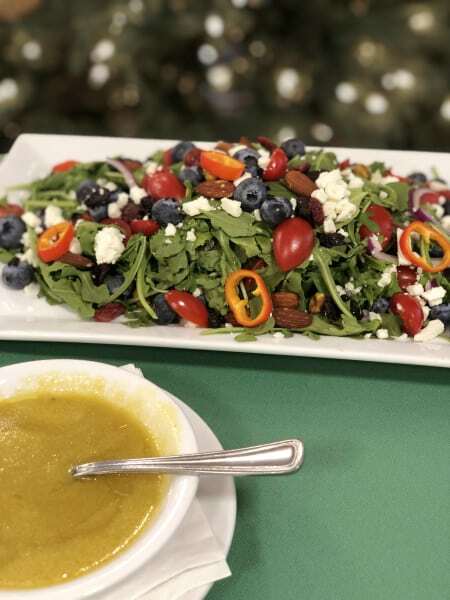 Tossed with an extra virgin olive oil and fresh-squeezed lemon and Dijon mustard dressing. 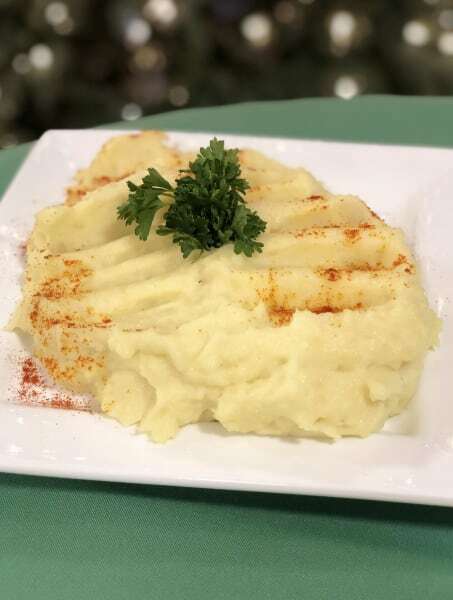 Mashed Potatoes – swap butter with heart-healthy olive oil! Peeled and boiled potatoes whipped with extra virgin olive oil and a hint of salt and garlic. Chocolate Chip Cookies – swap white flour with oat flour for starters! 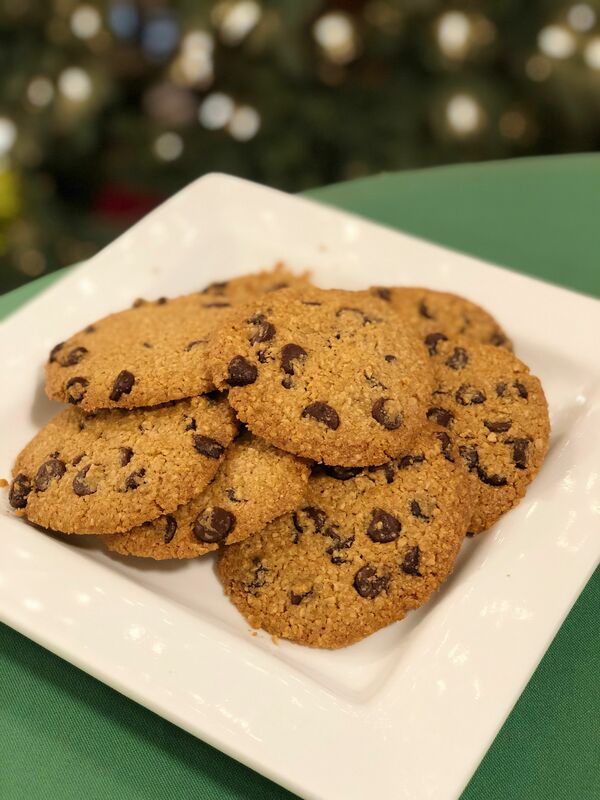 Oat flour, dark chocolate chips, coconut oil and Stevia sugar substitute mixed with vanilla, eggs and baking soda for low-calorie cookies. SenseSations by Pathway to Living offers a daily farm-to-table dining experience with a variety of fresh, all-natural foods thoughtfully prepared by hand and served with pleasure. Pathway to Living independent, assisted living, supportive living and memory support communities provide the care and inspiration for residents to live well, age well and be well. To learn more, visit www.pathwaytoliving.com or call 888-342-4111.